Floridi was born in Rome in 1964 and studied at Rome University La Sapienza (Laurea, first class with distinction, 1988), where he was originally educated as a historian of philosophy. He soon became interested in analytic philosophy and wrote his tesi di laurea (MA dissertation) for Rome University La Sapienza in philosophy of logic, on Michael Dummett's anti-realism. He obtained his MPhil (1989) and PhD degree (1990) from the University of Warwick, working in epistemology and philosophy of logic with Susan Haack (who was his PhD supervisor) and Michael Dummett. Floridi's early student years are partly recounted in the non-fiction book The Lost Painting: The Quest for a Caravaggio Masterpiece, where he is "Luciano" (see the relevant entry in Wikipedia). During his graduate and postdoctoral years, he moved across the standard topics in analytic philosophy in search of a new methodology, in order to approach contemporary problems from a perspective that would be heuristically powerful and intellectually enriching, when dealing with lively philosophical issues. During his graduate studies, he began to distance himself from classic analytic philosophy. In his view, the analytic movement had lost its propelling force and was a retreating paradigm. For this reason, he worked on pragmatism (especially Peirce) and foundationalist issues in epistemology and philosophy of logic. He was appointed Lecturer in Philosophy at the University of Warwick in 1990-1. He joined the Faculty of Philosophy of the University of Oxford in 1990 and the OUCL (Oxford's Department of Computer Science) in 1999. He was Junior Research Fellow in Philosophy at Wolfson College, Oxford University (1990-4), Francis Yates Fellow in the History of Ideas at the Warburg Institute, University of London (1994–95) and Research Fellow in Philosophy at Wolfson College, Oxford University (1994-01). During these years in Oxford, he held several lecturerships in different Colleges. Between 1994 and 1996 he also held a post-doctoral research scholarship at the Department of Philosophy, University of Turin. Between 2001 and 2006, he was Markle Foundation Senior Research Fellow in Information Policy at the Programme in Comparative Media Law and Policy, Oxford University. Between 2002 and 2008, he was Associate Professor of Logic at the Università degli Studi di Bari. In 2006, he became Fellow by Special Election of St Cross College, Oxford University, where he plays for the squash team. 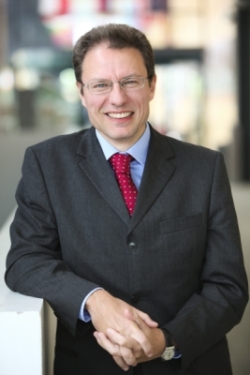 In 2008, he was appointed full professor of philosophy at the University of Hertfordshire, where he holds the newly established research chair in philosophy of information and, since 2009, the UNESCO Chair in Information and Computer Ethics. In his first book, Scepticism and the Foundation of Epistemology, Floridi was already looking for a concept of subject-independent knowledge close to what he now identifies as semantic information. During his postdoctoral studies, as a Junior Research Fellow of Wolfson College, University of Oxford, he began to embrace a more Neo-Kantian philosophy, which led him to spend one academic year in Marburg, where he focussed on Ernest Cassirer's version of Neo-Kantianism. He begun working exclusively on what is now known as the philosophy of information during his years as Research Fellow, still at Wolfson College, University of Oxford. Floridi's Erdős number is 3. According to Floridi, it is necessary to develop a constructionist philosophy, where design, modelling and implementation replace analysis and dissection. Shifting from one set of tasks to the other, philosophy could then stop retreating into the increasingly small corner of its self-sustaining investigations, and hence re-acquire a wider view about what really matters. Slowly, Floridi has come to characterise his constructionist philosophy as an innovative field, now known as the philosophy of information, the new area of research that has emerged from the computational/informational turn. the technical perspective provided by computer science, IT and Humanities Computing. For example, in the Preface of Philosophy and Computing, published in 1999, he wrote that the book was meant for two kinds of philosophy students: those who need to acquire some IT literacy in order to use computers efficiently, and those who may be interested in acquiring the background knowledge indispensable for developing a critical understanding of our digital age and hence beginning to work on that would-be branch of philosophy, the philosophy of information, which he hoped may one day become part of Philosophia Prima. Since then, PI, or PCI (Philosophy of Computing and Information), has become his major research interest. Floridi's perspective is that there is a need for a broader concept of information processing and flowing, which includes computation, but not only computation. This new framework provides a very robust theoretical frame within which to place and make sense of the different lines of research that have taken shape since the fifties. The second advantage is PI’s diachronic perspective, a perspective on the development of philosophy through time. In his view, PI gives us a much wider and more profound perspective on what philosophy might have actually been doing. Currently, Floridi is working on two areas of research: computer ethics (see the entry information ethics) and the concept of information. Key to this area of work is the claim that ICT (Information and Communications Technology) is radically re-engineering or re-ontologizing the infosphere. 2008 - Ethics and Information Technology, Springer, published a special issue in two numbers dedicated to his work. - First philosopher awarded the Gauss Professorhip by the Göttingen Academy of Sciences. - Appointed UNESCO Chair in Information and Computer Ethics. 2011 - Journal of Experimental and Theoretical Artificial Intelligence, Taylor & Francis, is preparing a special issue dedicated to his work.